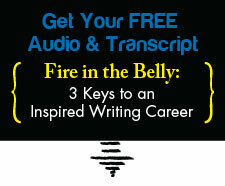 follow up | Writing & Book Coach | Marla Beck, M.F.A. Not long ago, I met a writer who desperately wanted cut through the clutter of her busy schedule and inner resistance so she could finally focus on writing. She had a book to finish. Her book was personally meaningful and commercially viable. Not only was its concept well-developed and the book half-written, she’d successfully lined up people who wanted to help her navigate the book world and shop her manuscript around, once she’d edited and finished it! How many times have you not followed through when writing doors started to open for you? Did you fail to pitch that agent you met at a conference? Skip following up after winning a contest or receiving a promising rejection letter? Did you struggle with a story idea so long your concept was no longer timely? How many times have you said NO when the Universe gave you a nudge in the right direction? Or handed you a pretty solid writing YES? If you’ve got a good publishing lead or two, or simply a good and eager beta reader lined up to read your work…. …you are allowing yourself to play a dangerous game. Before you know it, your eager editor/agent/beta reader will lose enthusiasm for your work. Before you know it, you’ll find yourself facing a big milestone birthday with nothing writerly to show for it. Daily, you’ll either tell yourself “the book doesn’t really matter,” or berate yourself for being lazy and not managing to get it done. Writing in the midst of a busy life and career is not easy. I get it! But with the right guidance, tools and framework, you can reclaim the time, energy, confidence and clarity you need to focus in on your unfinished project, finish it and pitch it with confidence. If you’re a busy, blocked writer with a meaningful project to finish, I’m here to help. For over a decade, I’ve honed a proven process to help you create a joyful, consistent writing practice… and to do it quickly. There are only a few steps between you and your finished book or writing project. Energy, confidence and writing joy await! Can you really afford to ignore your writing for another month, year or decade? Previous post: Are You Uninspired and Stuck with Your Writing? Next post: Overwhelmed? Here’s Why Your Writing CAN’T Wait.